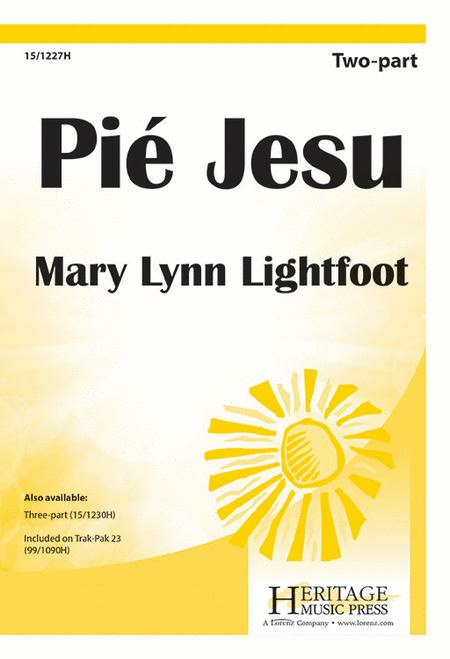 Composed by Mary Lynn Lightfoot. Choral. Octavo. Heritage Music Press #15/1227H. Published by Heritage Music Press (LO.15-1227H). 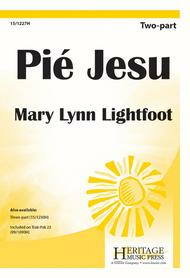 A best-seller-now in two new voicings! This compelling original was written in memory of the children who perished in the 1995 Oklahoma City bombing, and for all the children of the world who are the innocent victims of senseless violence. The ending features a whispering, murmuring chant of dona eis requiem, echoing behind the vocal parts. I love this song! it is so beautiful! the latin is not too tricky, and the melodies are gorgeous. my 10-13 year olds loved to sing it and it made them feel very mature. it is easy to learn.